A very good pair. The .38 cal. pistols have 1 3/8" long barrels with original blue finish and walnut grips. The sides of the frame are engraved with a panoply of arms and the words "LONDON" and "H NOCK". 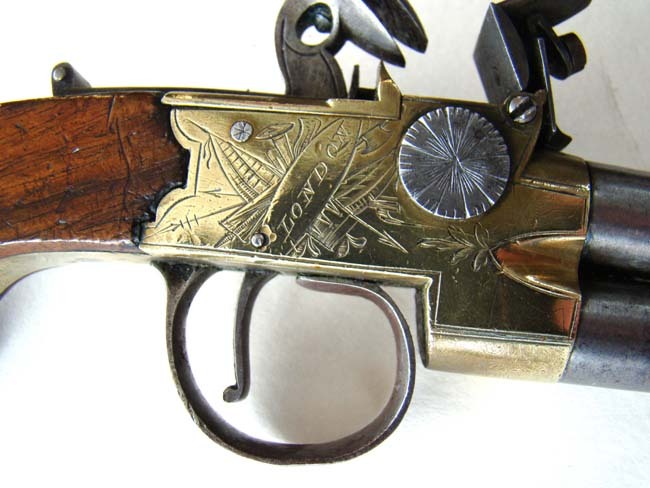 The two british proofs are stamped ahead of the trigger guard which has a star burst design. 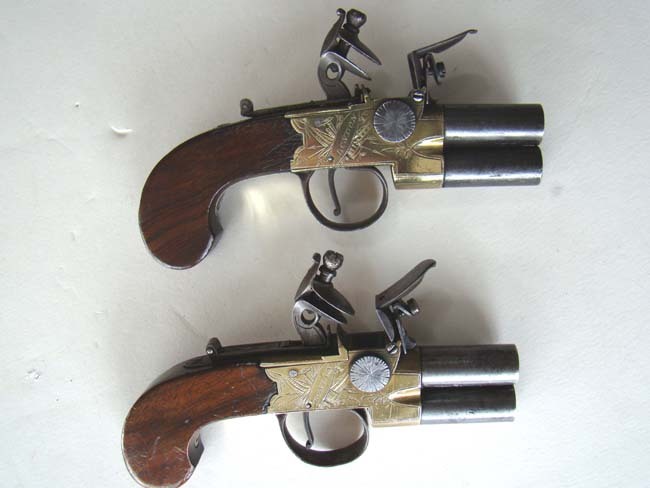 Overall a very nice pair of pistols made by a famous 18th century gunmaker who was appointed Gunsmith to King George III.